I’ve been reading predominately on a Kindle now for about a month, although it has rather messed up my Instagram aesthetic it did mean the car wasn’t quite so full of books when I moved in to my new house for 3rd year of Uni. So far I have enjoyed reading on the Kindle, for my needs its very practical, I don’t have the space to keep a ton of books, and I don’t have the money to buy a load of new books so reading free classics on that glare-free screen is a good choice. There are pros and cons to reading on the Kindle, Fry in the quote above compares them to elevators and that’s a pretty accurate comparison when talking about the pros of an eReader. The customisable font size allows people with visual impairments, or those who don’t like to strain their eyes on minute text at bed time to make the text the size they want without having to wrestle with a 1000-page large print novel; this is much like the elevator, allowing those who don’t want to/can’t do the stairs an easy alternative. Further expanding on this analogy, I took my kindle on holiday to Spain and will be talking it on holiday again later this month, when you have a tightly packed and already full case the last thing you want to have to cram in is a couple of thick airport reading novels, and you don’t want to take the stairs with that heavy case either, and so the analogy stands. 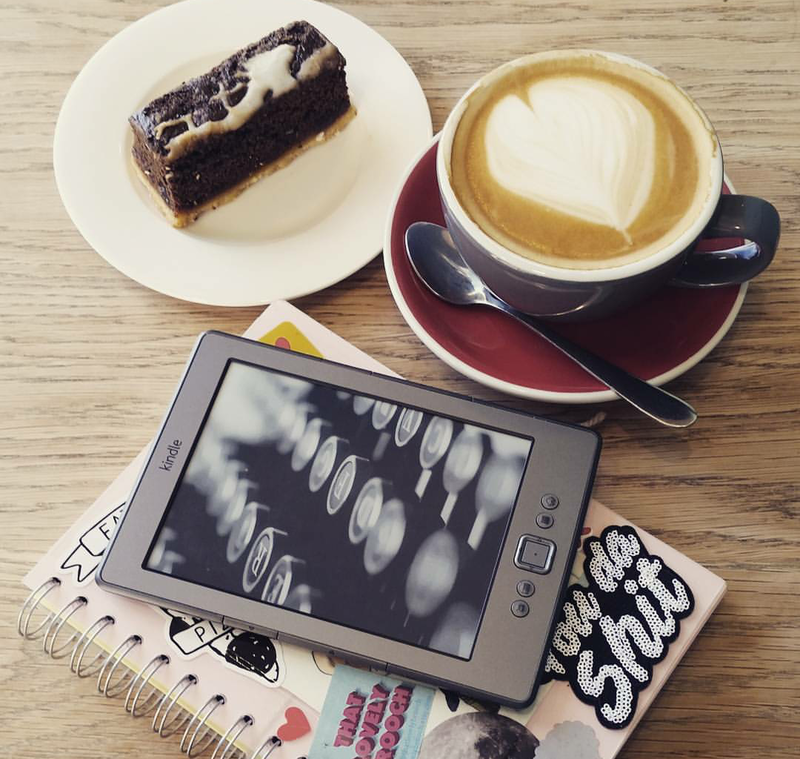 The Kindle, and similar eReaders, have been available to buy for 10 years now and I’m fully aware I’m a bit behind the times in writing this post in 2017. When Fry was talking about the supposed threat that Kindles posed to the humble paperback, when they were new to the market, there was a real fear of this robot uprising. Since then though I’ve seen the Waterstones bookshop in Sheffield go through two significant remodelling’s (this is my only major point of reference – let me know in the comments how you’ve seen your favourite bookshop change with the rise and fall of the fear of the Kindle-pocalypse). When the Kindle was hailed as the next big thing the large area next to the front doors was set up with an interactive display of eReaders, leatherette cases, and leads. But if you walk into that shop now the first display that greets you is a selection of beautifully bound reprints of classics, the covers of which I pour over – already knowing the contents within I think I’m allowed to judge a new reprint of Adam Bede by its cover. The eReaders have been resigned to a small shelf near the stationary and gifts section, still there in the shop but in putting them with the stationary and gifts Waterstones has told its customers that these are not books, they’re something different, and that’s okay. Books incite a passion in a lot of people. ‘Books’ as a concept has an almost cult like following, people like the smell of books, the feel of books, the look of full shelves, the excitement of being the first person to turn the first page of a new book or the 10th person to crack the spine on a book found in a second-hand store – the Kindle has none of this feel. It’s practical, it works, but it isn’t a book in the physical sense although the contents are completely the same, and to me right now that’s okay. I’m not going to give up on paper books altogether this Uni year, the floor after all can be used as a make-shift bookshelf if needs must in my new room but I think having a Kindle is going to allow me to do more of what I’ve missed doing in the last two years at Uni – reading for the fun of it despite not having all the fun books I have at home with me in person.